Using quality burner and control components, we can provide you with the latest available control technology. We use Eclipse, Siemens, Khromshroder, Dungs, ASCO, Eaton, and many other quality control devise manufacturers for the most efficient and trouble free control operation possible for your specific operation. Our structural design as well as quality refractory products used in the lining of our furnaces also aid in minimal fuel costs and a long service life of your equipment. We sell all of the above complete with installation, startup & training. Perfect size for loading engine blocks, transmissions, bumpers, and large product. One push charge as large as 1500 lb. ea. Up to 3 charges per hour. Built tough to last you for years of continuous operation. 3000 to 6000 lb holding chamber for adding clean scrap and making beautiful sows. Prices start at $175,000. 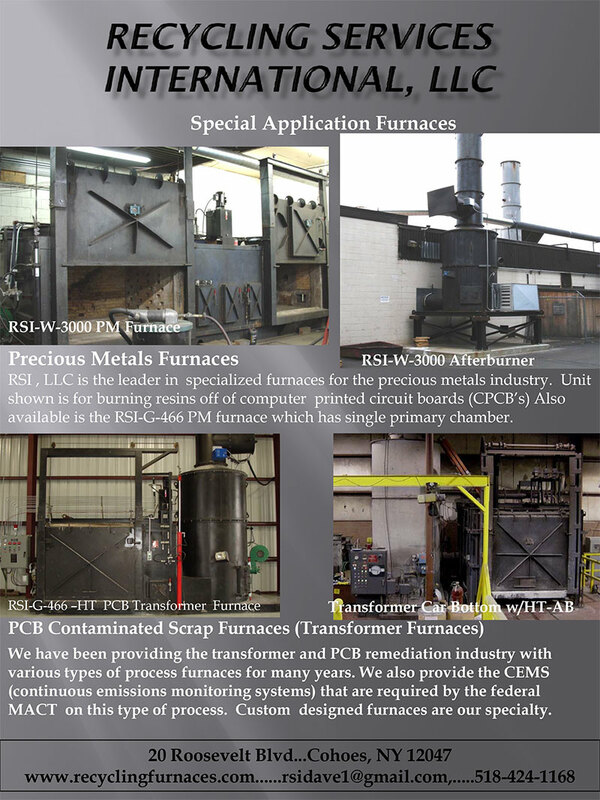 Consider this: Our furnaces fuel cost per pound of melted aluminum is 1/2 that of the other manufactures units with the same or better production rates. Our metal loss rate is up to 10% less due to design (average of 4% melt loss). Add that up over a year of operation and you just paid for our furnace with what you would lose in the other furnaces. Financing is available. EPA Compliance is guaranteed on all products. We have the most effective afterburner system on the market. Other manufacturers claim guaranteed compliance but they will later tell you that it is for clean scrap only. Our furnace burns up grease, oil, rubber, plastic, without any smoke out of the stack. We actually utilize the smoke as a fuel source.